It’s a story that could be ripped from today’s headlines except that the enemy is mystical and the weapons are magical. Freelance journalist-turned-wizard Steve Rowan has to find and defeat a deadly conspiracy in an America twisted and distorted by sorcery. The toughest part is dealing with Washington politicians as magic makes their bodies match their real natures and political power become mystical Power. Steve’s only allies are a female member of a SEAL team,, a haunted cell phone, and a sentient computer named Barnaby. Imagine Tom Clancy‘s tough spymaster Jack Ryan mixed with a lot of Jim Butcher‘s wise-cracking wizard-for-hire Harry Dresden and a touch of Kim Harrison‘s no-holds-barred pixie witchcraft but in the end, it’s a completely unique story. 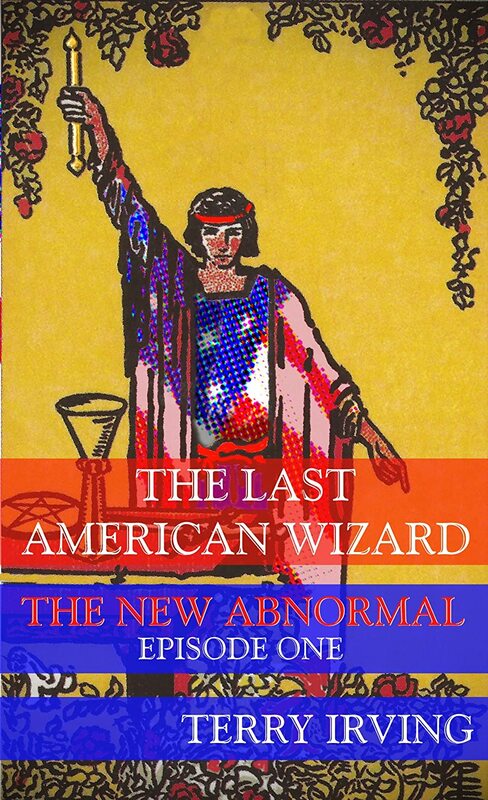 “The Last American Wizard” is the first episode of “The New Abnormal.” and is available exclusively on Amazon Kindle. When all 4 episodes have been published, “The New Abnormal” will also be available from Amazon in a paperback edition.